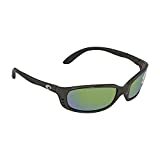 A good pair of polarized fishing sunglasses will not only provide you with excellent eye protection from the suns rays, but they will also reduce glare from water surfaces making it a lot easier on the eyes at the end of the day. 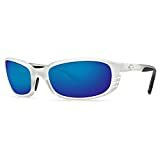 Sports sunglasses featuring polarized lenses will also enable you to see fish and marine life beneath the water surface that you would have probably missed without them. Over the years I have owned some pairs of sunglasses for fishing and boating. Below are few of my favorites that have never left me down. Multiflection lens coating repels water while resisting against scratches, smudges, and stains. 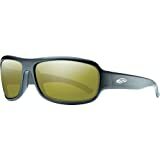 Featured sunglasses for fishing include Costa Del Mar sunglasses and Maui Jim sunglasses. Here you will find information on the popular fishing sunglasses; every fly fisherman knows that owning a good pair of fishing sunglasses is vital to get the most from the sport. 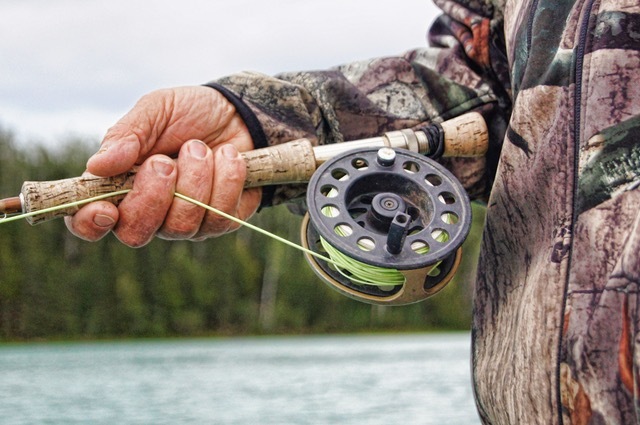 Here in this post, you can learn how fishing sunglasses can make all the difference to your enjoyment of fishing. 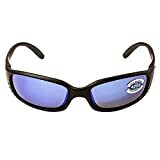 These are my favorite sunglasses for fishing. 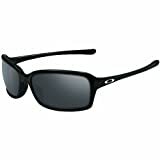 Costa Del Mar Sunglasses are famous for their polarized lens technology. 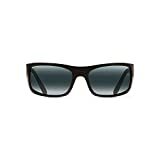 Costa Del Mar Sunglasses patented WAVE 580 lens provides enhanced color discrimination, sharper contrast, definition and 100% polarization. Many of these sunglasses are available in prescription. My two pair that I couldn’t be without is the Costa Del Mar Man-O-War Sunglasses and the Costa Del Mar Swordfish sunglasses. 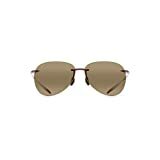 Maui Jim polarized sunglasses are one of the most popular brands of sunglasses in the world. Combining nature loving spirit of Hawaii with state-of-the-art lens and frame technology. All Maui Jim sunglasses are uniquely polarized, making them ideal for boating, fishing, golfing and driving. 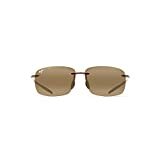 Ordinary polarized lenses simply block reflected glare, but Maui Jim sunglasses offer their patented PolarizedPlus multi-layer lens technology which eliminates ALL types of glare for unmatched optical clarity. 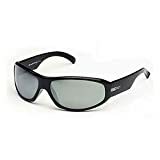 For years now fly fisher have understood the importance of purchasing a good quality pair of the fishery sunglasses, there are two main advantages of buying polarized sunglasses. 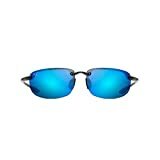 2: The second advantage is the protection for your eyes they give you during the act of performing a cast, there is a lot of fishermen out there who have escaped injury to their eyes by wearing a pair of fishing sunglasses. 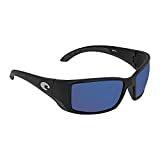 There are many different types and styles of fishing sunglasses on the market today for you to choose from, I believe this is one item in your fishing equipment that you should be prepared to pay the maximum you can afford for a pair of fishing sunglasses. 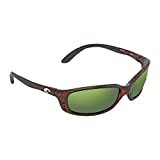 The fishing sunglasses are an essential part of your fly fishing gear; you should not skimp on the price when buying sunglasses because you get what you pay for with fly fishing sunglasses. 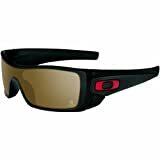 There is no doubt that when it comes to research and innovations into fishing sunglasses that Oakley tops the list, these glasses from Oakley are equipped with high definition optics giving the wearer the best clarity and accurate vision in sunny conditions. 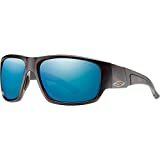 The reason these sunglasses are great for spotting fish under the water is that they have a hydrophobic coating that stops the glare and water sheens you get to the top of the water from distorting your vision. 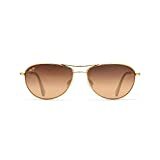 This specific coating also helps protect the glasses from smudge marks caused by sunscreens, or any skin oils, and according to Oakley, these lenses can even help to repel dust particles. 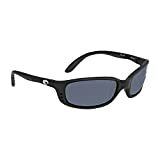 Oakley says that the polarization used to create these glasses can effectively eliminate 99% of glare and that the manufacturing process helps to eliminate the visual distortion and haze effect you can get with other types of sunglasses. 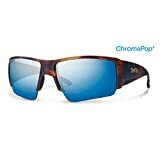 These polarized fishing sunglasses feature carbonic lenses that give 100% protection against UVA and UVB radiation, and the frames are built from a polycarbonate material that is flexible and will not deteriorate and go brittle no matter how long they spend in bright sunlight. 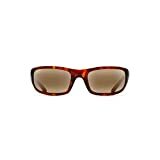 These glasses feature optic technologies that include tapered lenses to provide optimum distortion free viewing and perfect clarity; this enables you to see more in a wide range of light with practically no glare from the water. 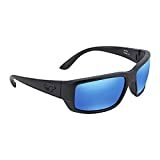 Recognized and endorsed by many top sportsmen, the smith optics fishing sunglasses should be one type of sunglasses you look at before making your mind up on which type to buy. The cost of these glasses is around $. This makes them some of the cheaper versions of fly fishing sunglasses. But don’t think the lower price means lower quality. These sunglasses are built to last and incorporate vast amounts of technology and innovation.